While the code is not ‘mandatory’, some students feel it infringes on individual choice, while some others welcome it. 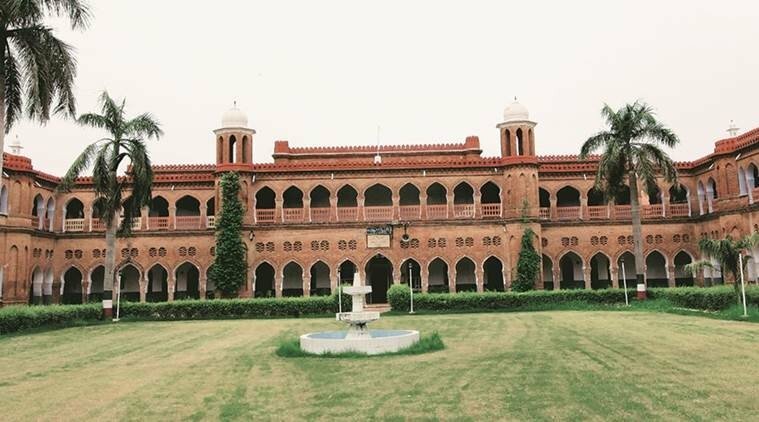 New Delhi: Trouble is brewing in Aligarh Muslim University (AMU) after the administration asked the new students (hostel occupants) not to step outside their hostels in shorts, slippers and bermuda shorts, with some students saying dress is a matter of “individual choice” and some others welcoming the code for preserving “tradition”. On September 11, Sadaf Zaidi, the provost of Sir Shah Sulaiman Hall, issued an advisory, listing of the key traditions of the university. "Step out of the hostel in proper dress. No going out of the hall premises in kurta and pyjama, wearing slippers. The same rules apply for dining room, common room and reading room. Bermudas, shorts and slippers are strictly forbidden. Black shervani or kurta pyjama should be worn on all important occasions and university functions," the advisory said. Other traditions listed in the advisory include calling dining hall attendants 'miyaa' or 'bhai', addressing fellow hostel mates as 'partner', payment of the bill by a senior, if a senior and a junior are eating together, and treating everyone who comes to see them off when they are going home or outside to 'see-off tea'. When asked whether the dress code issue was receiving undue importance in the media, Gandhi said, "The mainstream media is constantly giving more air-time to issues which have lesser relevance for the development of our nation. As a result, the more pressing issues of unemployment, poverty, spiraling prices, farmers etc. are not getting their due, and are getting sidelined." Contending that the provost had issued only an ‘advisory’, Mohammad Sajjad, a Professor of History at AMU, said, "Every institution has its own historical identity. There were some pragmatic reasons with the founders; not only Sir Syed, but his other colleagues as well, that they were trying to persuade the community to come to terms with modernity. In this, the dilemma for the founders was that there was some apprehension about the identity of the community. When the foreign power subjugated the university, then the matter came to identity. In this condition, they had to figure out a way, which would give an impression to the community that their identity will be preserved, and that they will be empowered through modern education as well. That time also, the dress code was suggestive, not mandatory." Students, too, had a mixed reaction to the advisory, with many of them feeling that the media was creating a unneeded fussover the issue. Afreen Fatima, a student of linguistics, who stays in the girls’ hostel, said, "For me, it depends on the place you’re visiting. If you are visiting your principal or going to attend a class, you should be properly dressed. If you are stepping out from your hostel for a personal visit, then it could be whatever we wish to wear. We have been asked by the university administration to wear plain white suit on the occasion of any event, but we are free to wear whatever we wish to inside the campus otherwise." Another student, Salman, said, "It is not a hard and fast rule. This suggestion was only to save our tradition, which has somehow faded. AMU is known for its culture and tradition, but new batches are not aware of these traditions. Only Sulaiman Hall issued the advisory, but probably every hall will instruct the same to its residents,” claiming that “almost all the students are supporting this advisory." Ban on Jamaat and Ordinance Reservations: What Does It Imply?